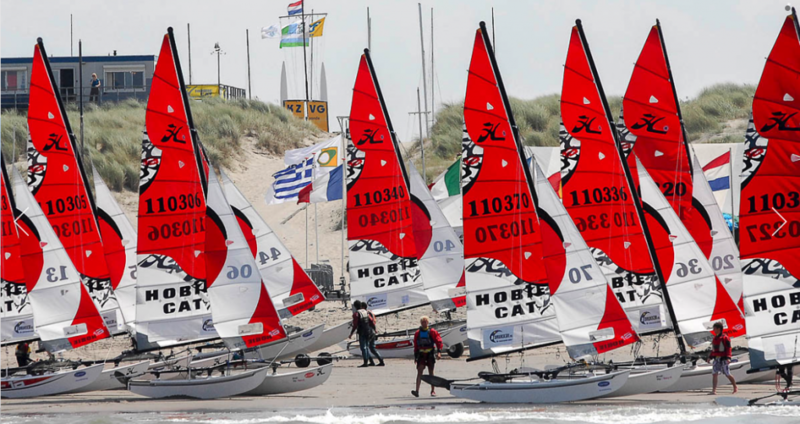 The Notice of Race for the Hobie® 2017 Multiworlds and Europeans is now available for download at http://www.hobieworlds.com Then head to ‘Event’ and ‘Notice Board’ and you can read or download the Notice of Race. Everyone signing up and pay the entry fee before January 31, 2017 will be granted the lowest entry fees! To prevent misunderstanding, we kindly suggest everyone to use the PAY module in the Online Entry procedure; this will give you certainty about the proper fee applied and will also deliver you the confirmation of registration straight away. The village of Noordwijk is ideally positioned between Amsterdam and The Hague, both to be reached in about 30 minutes. Both cities offer a wide range of museums , shops and bars/restaurants. But even closer are Leiden and Haarlem, both smaller in size but with a vibrant city center where remainders of middle age architecture blend with modern age facilities. They also offer well-known museum worth a visit. So much for the easy-going visitor 😉 The organizing committee is planning for vibrant activities on the beach as well. We think of setting up hottubs on the beach, decorated with palm trees and cocktails or so. Other water activities like SUP and wave surfing for ‘youngsters’ joining our competitors. And of course we will offer a variety of food and drinks to make it worth your while. You will enjoy them not only during one of the organized parties (opening ceremonies, cut party and two prize giving’s) but also on several of the other days! During July, as most of the year, the prevailing wind direction is SSW to W. While the beach of Noordwijk is facing WNW this makes leaving the beach quite easy. Windforce is pre-dominantly between 3 to 4 Beaufort.